Before you sell a house, you should always remember to perform the basics. This can mean anything from sweeping the driveway, to replacing any loose roof shingles. 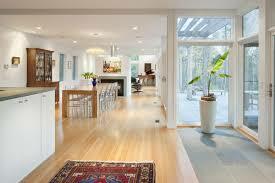 Houses look better when they are decorated, in terms of attracting buyers. If possible, try to stage your home. This tip will backfire if you try your hand at stylish decor. Stick with a neutral, blank setting. Remove any “unique” items, or bold-colored walls. If your walls are colored rather than neutral, it’s time to repaint. 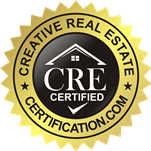 For more answers, check out Remodel Before Selling? Many homeowners wonder if they should renovate before they sell their house. All too often, real estate experts talk about how certain remodels can reap a huge amount of money in regards to a sale. This leads every homebuyer to think that any repairs they will make will bring back an investment. This simply isn’t true, as every house is different. Wh at would mean a return in one house, might mean breaking even for another. The act of remodeling any room in a home does not, in itself, guarantee a profit. This is something you should understand immediately. See: Can a Remodeled Bathroom Help Sell My Home? Every single home has flaws. No home is free of them. 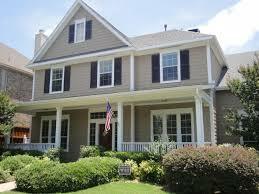 The amount and severity of the flaws will determine the selling price of the home. It also depends on how visible the flaws, as well as the buyer. Some buyers might not care about certain issues with the house, if they can’t be seen. For example, one buyer might freak out about a huge scratch in the living room on the floor. While another buyer knows that the scratch is in a location that a sofa or rug is supposed to go over it anyway. Some buyers will use absolutely anything as a negotiation tool. You name it, a real estate agent has seen it. Buyers can really go crazy when it comes to pinpointing problems with homes in an effort to get the seller to take a lower offer. Always be upfront if there are any issues with the house. You don’t want the buyer to find out later that you lied. They’ll wonder what else you lied about, and won’t want to wo rk with you anymore. Regardless of how much they loved your house, they’ll be concerned and it will raise too many flags for them to justify continuing with the sale. Plus the fact that the buyer is going to find out about any problems regardless during the inspection. 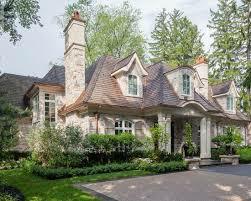 Sellers should also order their own inspection before listing the house, so that they know what they are dealing with. As a seller, you don’t want to get all the way to the closing to find that there are problems, and then the buyer walks. It’s alot of wasted effort and time. This is such a common question that is dependent on SO many things that it’s hard to really give an opinion. But I did want to write that you must do touch-ups. Now, those “touch-ups,” may include some level of re-modeling simply out of the need for it (whether or not things work, such as plumbing). I think it all depends. But I like this article!